If you like travelling in luxury you’ll find plenty of style in Broadway. 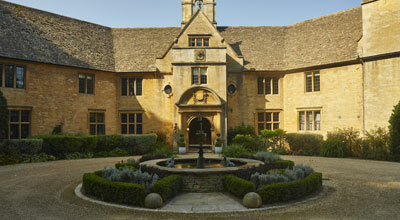 You can book yourself into some of the most highly regarded hotels in the Cotswolds without needing to travel far. 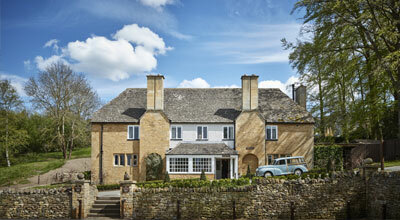 The village is home to many top hotels, each offering the unique benefits of a luxury stay in the countryside. Take a look below at our pick of the best luxury hotels in Broadway. You’ll be able to experience the holiday you deserve, enjoying award winning in-house restaurants serving up the finest feast, and spending well earned time in the spa - the entire Cotswold experience is brought to you. If you do prefer those finer things in life, explore the extravagant side of Broadway by browsing through our comprehensive list of luxury hotels located in the village. 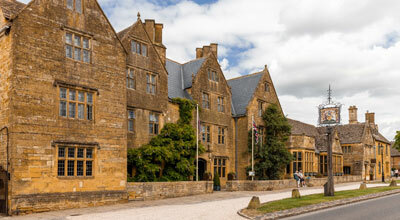 The Lygon Arms has recently undergone a multi-million pound refurbishment programme, this four star luxury coaching inn, has 86 bedrooms and suites. 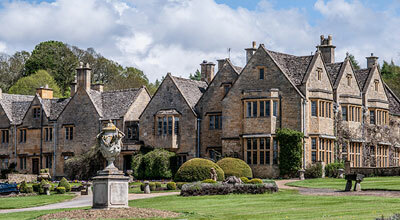 Discover Foxhill Manor, a luxury Cotswolds country house hotel in the heart of the Cotswolds. The Fish sits at the heart of Farncombe Estate, an idyllic 400-acre patchwork of field and woodland. Buckland Manor is set in glorious grounds featuring immaculate gardens with running stream, small waterfalls and croquet lawns.